Jun 14, 2016 @ 10:00 AM — by Retina Associates, P.A. One of the greatest frustrations of aging is that the body often seems to age much faster than the mind. Many seniors find themselves facing physical ailments despite the fact that they continue to feel young at heart. At Retina Associates, PA our eye doctors are dedicated to providing quality eye care for seniors that allow our Shawnee Mission, KS patients to continue to enjoy healthy eyes and clear eyesight as they age. Retinal conditions threaten the health and function of the eyes and are, unfortunately, a common problem for senior patients. However, our doctors provide testing, diagnosis, and treatment for retinal conditions so that eye health does not have to be a source of concern. 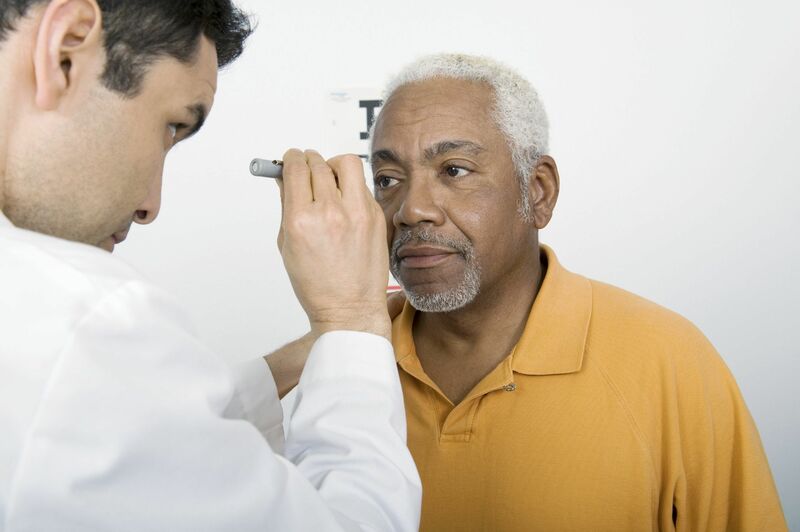 Age-related macular degeneration: Age-related macular degeneration (or AMD) is one of the leading causes of blindness in patients aged 60 or older. The risk of this progressive condition increases as a patient ages. With early treatment, AMD can be treated so that a patient’s vision can be preserved. Retinal tears or detachment: The inside of the eyes is lined with light-sensitive tissues known as the retina. These tissues send messages through the optic nerve that allow images to be processed. If the retina becomes torn or detached, a patient’s vision will suffer. Patients over the age of 50 are at an increased risk of retinal tears and retinal detachment. Retinal vein occlusion: Retinal vein occlusion, or RVO, describes a blockage of the nerves that are responsible for carrying blood out of the eye and moving it toward the heart. This condition causes swelling of the macula and can lead to blurry vision, or even blindness. RVO usually occurs because the arteries have hardened or become blocked, making it a common concern for patients over the age of 60. Most retinal conditions can be treated so that vision is not permanently compromised. However, early diagnosis and treatment is key to the preservation of vision. There are two important steps a patient can take to ensure that retinal conditions and other eye diseases are treated right away. The first is to maintain a regular schedule of comprehensive eye exams. These eye exams allow our doctors to get a comprehensive look at all the layers of eyes. The second step a patient can take is to report any changes in vision or any other unusual side effects (such as flashes or floaters) to our eye doctors right away so that an exam can be scheduled. If you are a senior who is concerned about eye health or vision, professional eye care is of vital importance. To learn more about our comprehensive range of eye care services for seniors at Retina Associates, PA schedule an appointment with one of our experienced eye doctors at your earliest convenience.